A Mt. Rose Ski Tahoe employee digs out at the resort on Feb. 22 after another big snowstorm. 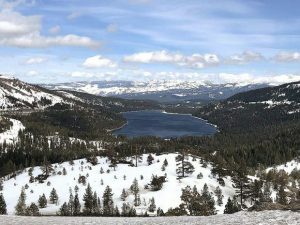 TAHOE-TRUCKEE — Though Lake Tahoe residents have been enjoying a stretch of bluebird skies, a storm is scheduled to hit this weekend to kick off what could be another wet winter month ahead. “We are looking for a storm to come in around Saturday afternoon through Sunday afternoon. It’s a pretty decent cold storm. We are expecting 1 to 2 feet of snow above 7,000 feet with potentially up to 10 to 18 inches below that,” said Zach Tolby, forecaster with the National Weather Service (NWS) in Reno. According to NWS, a winter storm warning will be in effect for the entire region from 4 p.m. Saturday to 4 p.m. Sunday. Though forecasts more than a week out are difficult to determine, Tolby noted that the NWS is able to examine the probability of atmospheric rivers hitting the area. “Usually we get a couple a year, maybe three to five, and that is our overall average, but in California and the Sierra we have pretty wide swings. Sometimes we will get zero or one, and then this year we have gotten 10 or 12,” said Tolby. For reference to the amount of snow that’s fallen as of March 1 — Mt. Rose Ski Tahoe is reporting the most snow totals for ski resorts in all of North America, according to Ski.com, with 650 inches stacked up at its upper mountain. At Donner Summit, Sugar Bowl Resort is close behind Mt. Rose in terms of snow depth, tallying 635 inches of snow. In fact, considering the staggering amount of snow so far this year, Mt. 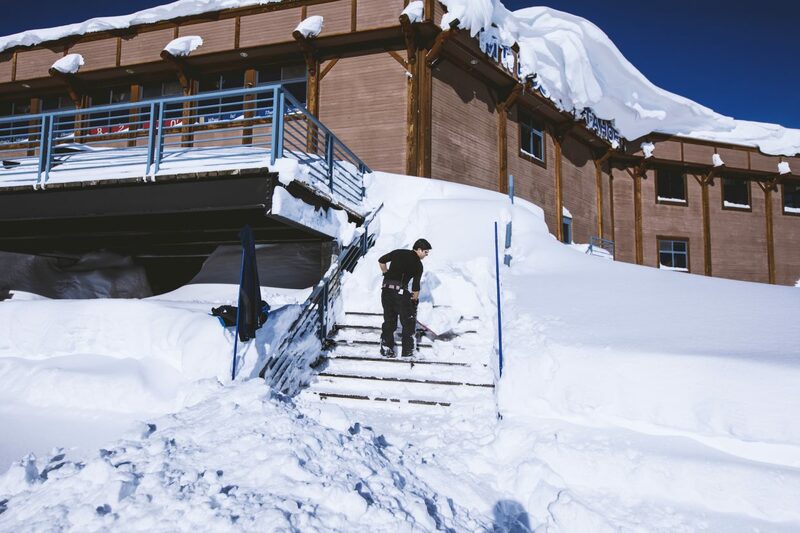 Rose announced Wednesday it will extend its ski season and will remain open through Memorial Day, May 29 (previously, Squaw Valley announced it will stay open into June and offer skiing on the Fourth of July). State climatologist Michael Anderson describes this winter as “historic” — but it’s not over yet. Though January is typically the winter month with the most snow, March has a history of coming through to salvage dry winters. The term “Miracle March” was coined in 1991 during what was on course to be the driest winter on record after a seven-year drought. According to previous reports, ski resorts were preparing to pack up shop when a series of snowstorms starting on March 1 delivered 50 inches of snow, and it kept coming for the rest of the month. In all, as much as 14 to 20 feet of fresh snowfall fell in March 1991, which boosted lake levels and a snowpack that had dwindled to 19 percent of the average. Similarly, even after an above-average winter and perhaps even a “Miracle March” ahead, the statewide drought is not yet over. “Many Californians continue to experience the effects of drought, and some Central Valley communities still depend on water tanks and bottled water,” the California Department of Water Resources said in a release on Wednesday. The U.S. Drought Monitor, a weekly federal report, stated last Thursday that 49 percent of California is no longer in a drought, including Lake Tahoe and every Northern California county. Nevertheless, Gov. Jerry Brown is not likely to make a decision on whether to amend or rescind California’s emergency drought declaration — which has been in effect since Jan. 2014 — until the winter season is over. 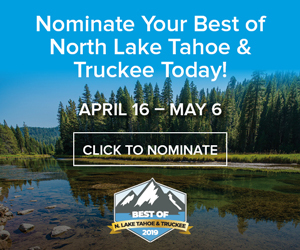 Claire Cudahy is the news editor for the Tahoe Daily Tribune, a sister newspaper of the Sierra Sun’s based out of South Lake Tahoe. 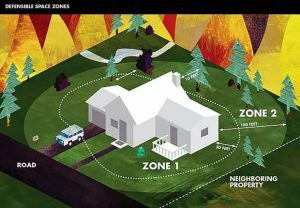 Sierra Sun editor Kevin MacMillan contributed to this report.